Oahu offers so many different lifestyles depending on what part of the island you live on. There is the peaceful country life on the North Shore, the fun and exciting city living of Honolulu and the relaxing boat lover lifestyle on the marinas in Hawaii Kai. 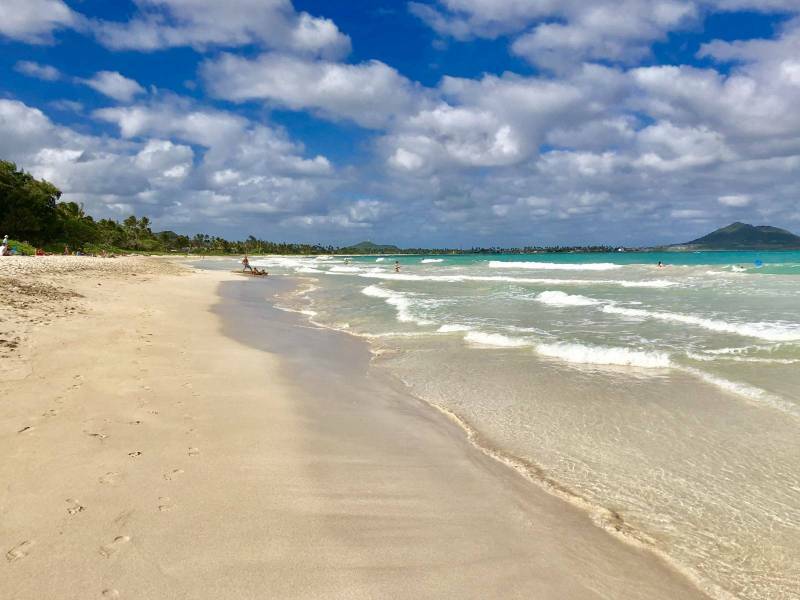 Then there is Kailua — a true beach town on the windward side of Oahu. In my opinion, Kailua has the most beautiful beaches on the island and is perfect for the person that loves a laid back, beach community. The long white sandy beaches with turquoise waters offer a perfect place to swim, body surf, stand up paddle and go for lengthy walks. Being the windward side of Oahu, Kailua is ideal for kiteboarding and windsurfing. The waves never get as big as they do on other sides of the island, so its a great “kid friendly” beach. 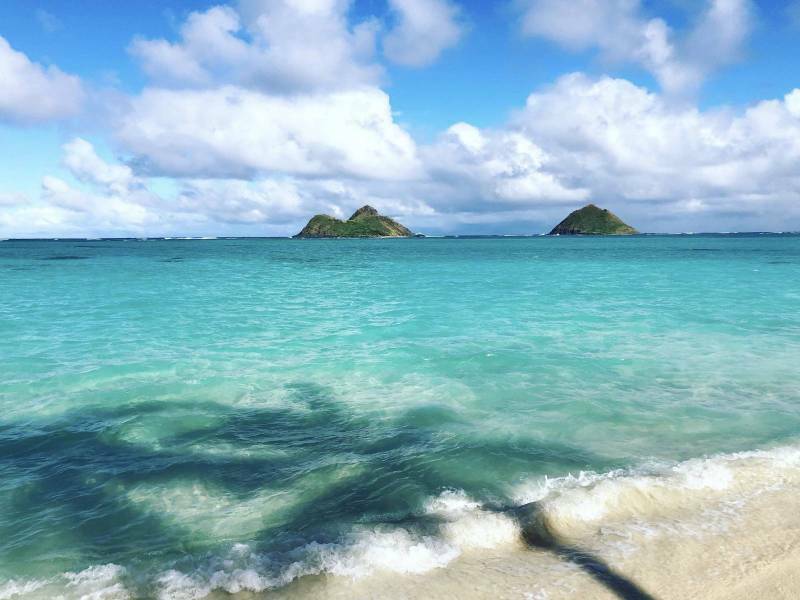 My favorite, Lanikai beach, is so dreamy with the view of the two Mokulua Islands and the pristine water. I love spending some Saturday mornings having an espresso and sandwich from Kalapawai Market on the way to Lanikai. Swimming and lounging all day, and then heading over to Buzz’s Steakhouse for a fresh lime margarita and some pupus. As an aside, I highly recommend the calamari steak with the lemon butter and capers. Buzz’s has been around since 1967 and is a great place relax at the bar and chat with Kailua locals. The small community of Kailua attracts a lot of families and also military families because of its proximity to the Marine Corps Base and good school systems. Throughout the year Kailua hosts block parties as well as music and arts events. Farmers markets are held every Thursday night from 5-7:30pm in the Whole Foods parking lot. It’s also a super dog-friendly neighborhood. As for shopping, there are multiple boutiques, surf shops, and interesting stores for home decor. Target is in Kailua town as well for everyday needs. Furthermore, there are multiple restaurants with live music, coffee shops and ample places to meet friends. Most of the homes in Kailua were built in the 1940s-1970s. Many are single wall construction or classic plantation style. Higher ceilings and exposed wood beams, original hardwood floors and lovely backyards with mature plants and sometimes in-ground pools. The neighborhoods are only a short bike ride away from the beach and town. The single family homes in Kailua range from $800,000+. The condos range from $400,000+. 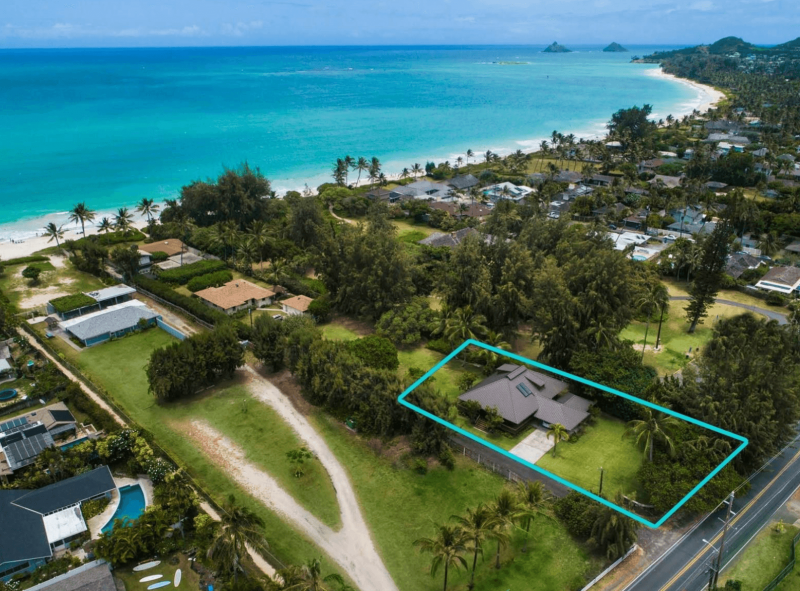 As of Jan 2019, there are currently 98 Kailua homes on the market from $839,000k – $28,500,000. A great investment opportunity lies in Coconut Grove: 630 Wailepo St listed at $1,200,000. It was built in 1948 and sits on a corner lot just under 5,000 square feet. If you are looking for an investment property, this is one of the last addresses in all of Kailua to be zoned A-2 Medium Density Apartments, which means you can build a small low rise apartment building. It’s sold with the renderings and plans for the building — live in one of the units and rent the rest. It is located just two blocks from the heart of Kailua town. If you aren’t looking for this type of investment purchase, check out: 1345 Keolu Dr built in 1978 and listed at $1,250,000. It offers 4 bedrooms and a great outdoor area with a pool. Looking for a beachside home? 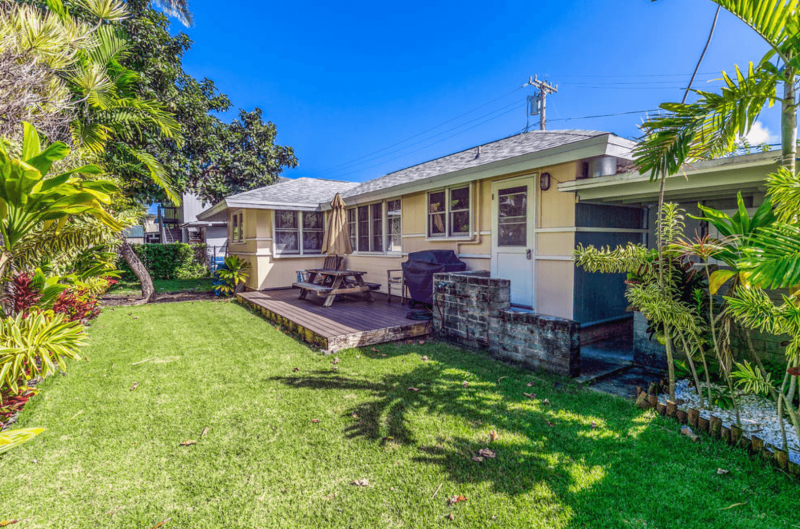 Check out: 270 N Kalaheo Ave a 3 bedroom, 2 bath bungalow style home built in 1989 and listed at $1,850,000. The best part about this property is that it’s located off a private drive with a deeded beach access. 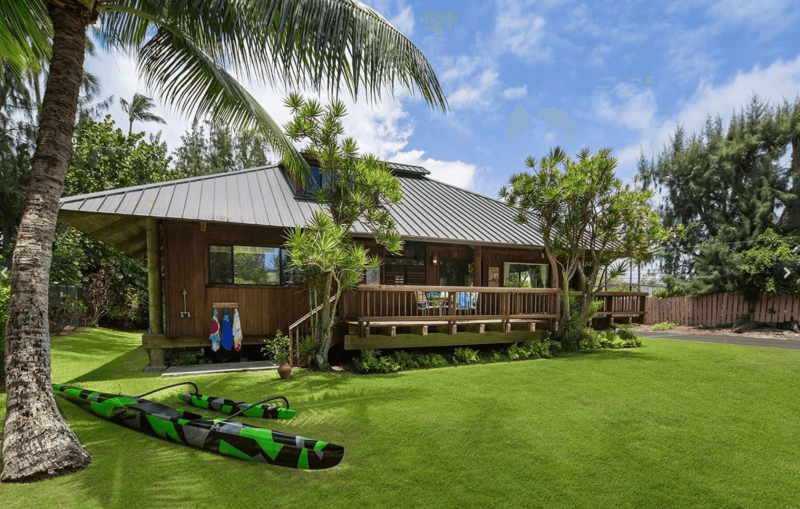 Check out this tropical modern style home: 165 Kailuana Loop a 5 bedroom 3 bath home that offers over 2800 square feet of indoor/ outdoor living space. This luxury beach home is offered at $2,950,000. Beautiful open kitchen, high-end finishes and attention to detail, this is a gorgeous property. If you are looking to buy or sell a Kailua Beach home please contact me. I’d love to help you with your Kailua real estate goals! Ashley Bailey is a REALTOR-Associate with Hawai'i Life. You can email me at	AshleyBailey@HawaiiLife.com	or via phone at (808) 673-8947. Would love to talk about your real estate options in Kailua!